@joekamprad What does it mean? Is there any way to fix it? 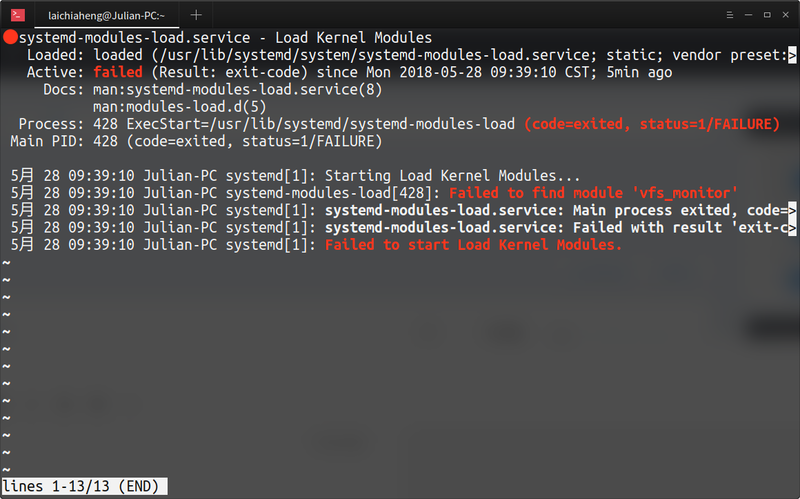 5月 26 22:48:00 Julian-PC systemd: Failed to start Load Kernel Modules. 5月 26 23:11:09 Julian-PC systemd: Failed to start Load Kernel Modules. 5月 26 23:11:11 Julian-PC systemd: Failed to start Load Kernel Modules. What is the vfs_monitor? I can’t find any results from Google. It has been out of date for a long time, but they just don’t update it. Failed to initialize a decoder for codec 'wmv3'.